Looking for a new book to read? Check out this list of 17 books to Read Fall 2017, a mix of fiction, non-fiction, fantasy, sci-fi, and more. 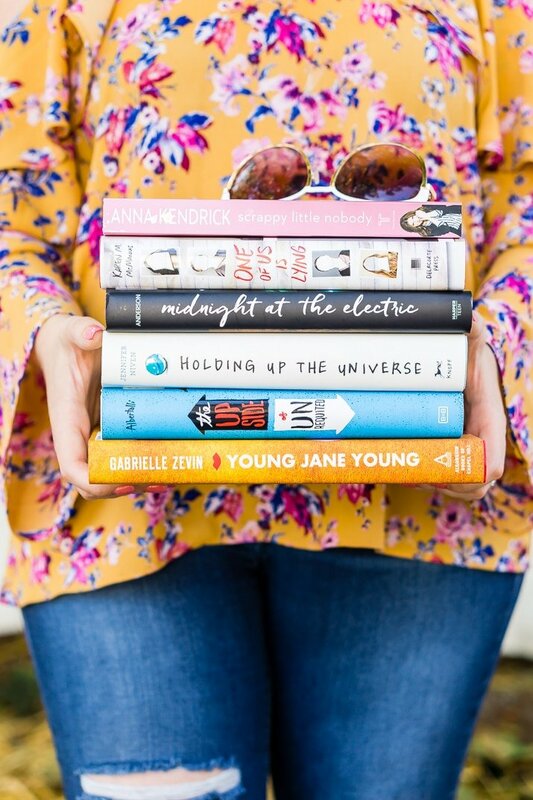 These 17 Books To Read Fall 2017 will keep you entertained for hours! I can’t believe how fast summer is disappearing, it just doesn’t seem fair. Usually, I’m ready for the cool crisp air of autumn to swoop in, but not this year. I want all the warmth and sunshine (although the humidity can get gone). In fact, it’s gone by so fast that I’ve barely had time to complete my summer reading list! Still, in my (few) spare moments, I’ve managed to read 8 books this summer! Reading is truly my oasis when life gets crazy. It’s like a mini vacation, taking me to faraway lands (and you know how much I love to travel!). 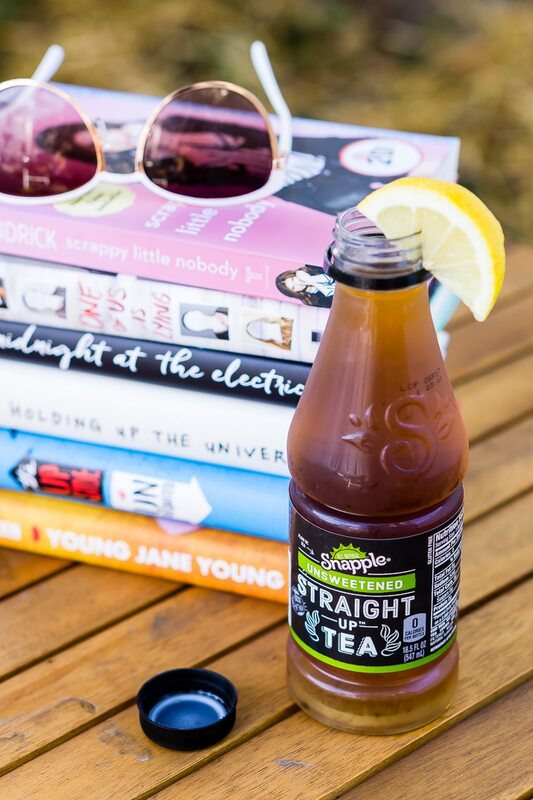 While I always try to sneak in a few pages here and there in the few minutes I have before bed or between commutes, my favorite way to read is to set myself up for some quiet relaxation with no one else around and accompanied by an ice cold glass or bottle of iced tea. 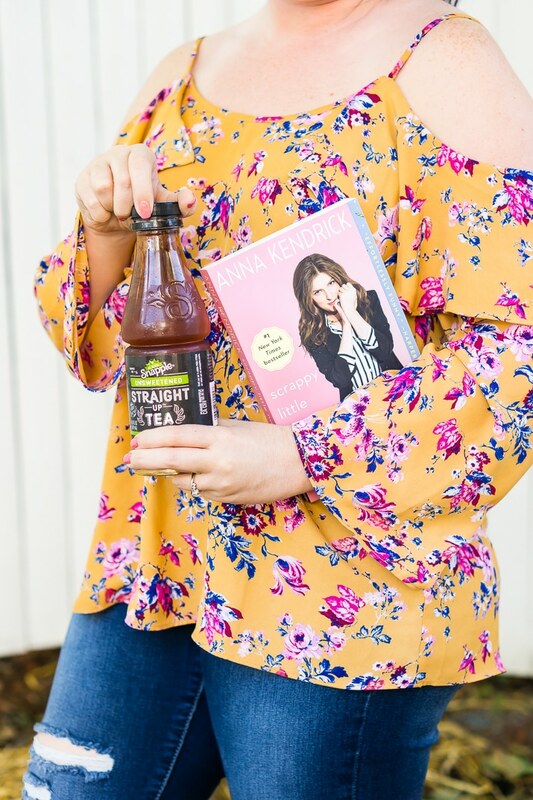 I really enjoy sipping Straight Up Tea, which is unsweetened but boldly flavored, you might remember that I live a Straight Up Life and it’s no secret that I love my sugar, but sometimes, nothing beats an unsweetened iced tea. 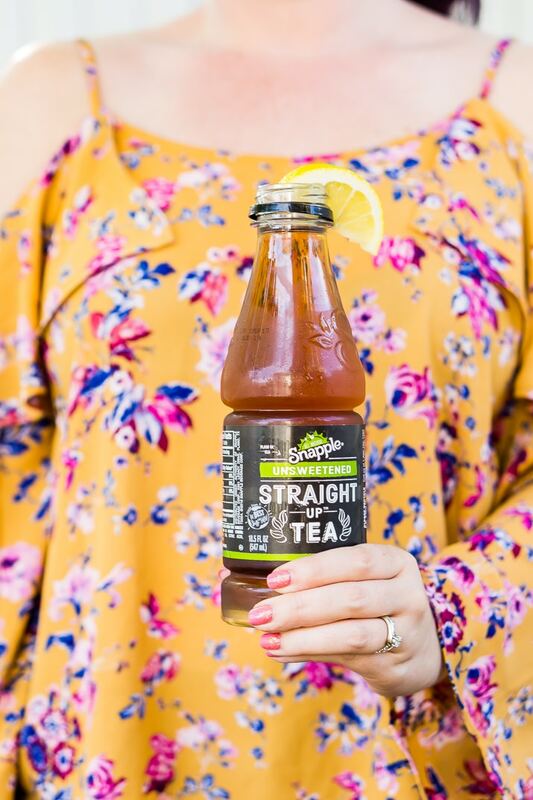 I also love the other Straight Up Tea flavors like Honey Green, Sorta Sweet, Sweet, and Rooibos which can all be found at your local Shaw’s, don’t forget your Buy 1 Get 1 Free coupon! I may not have finished my summer reading list yet, but with so many great new books coming out or to my attention, I couldn’t resist building my fall reading list a little early. I’m really excited about this list and I hope that you guys find at least a couple to add to your to-read list! You can find the full list below or check it out on Goodreads to easily add them to your own shelves! And you can follow me on Goodreads to keep up with my reviews and shelves! Everything We Keep – This is actually the book I’m reading right now, it came highly recommended and I picked it up on sale. Flame in the Mist – I’m not exactly sure what drew me to the book, maybe it was its beautiful cover or it’s the Japanese setting, but I think it’s going to be a lot of fun to read. Midnight at the Electric – Multiple timelines, multiple generations, multiple settings = multiple hours doing nothing but reading this book. All The Crooked Saints – This author’s previous books have been a bit hit or miss for me, I loved the first three books in The Raven Cycle series and I’m hoping that this standalone delivers a great binge-worthy story. The Throwback Special – I came across this book and knew it was one my husband and father-in-law would love, but I love stories about football and family ties, and I’m excited to read this one. My Absolute Darling – I feel like this is going to be a hard book to read, not because it’s not well written or because it’s not good, but because of the context. But I think it will be worth it in the end. The Tibetan Book of Living and Dying – Someone recommended this book to me this summer, it’s said to be one of those that you pick up and put down, maybe even for years, because the lessons in it take time to sink in and take action on. The Upside of Unrequited – Sometimes I just want a book that was written for people 10 years younger than me, one I don’t have to put a lot of thought into to enjoy. Here’s to hoping this one is little John Green-esque when it comes to teenagers and their issues. Unravel – Something about this crazy little book has me intrigued and maybe that makes me crazy? Tower of Dawn – If you’ve followed this blog for a while, you know I pretty much love Sarah J. Maas and I’m so excited for this 6th book in her Throne of Glass series! Anna Karenina – Yes, this book is old, but it keeps coming up in my life (and it was part of Audible’s sale last week) so I’m taking it as a sign and plan to tackle this beast of a novel real soon. Here’s to hoping it doesn’t make my wanderlust for Russia any worse. Scrappy Little Nobody – I figured each of my general book lists should include a memoir, I know there are many of you out there that love them and I also enjoy them from time to time. I love Anna Kendrick and I hoping this will be as entertaining as Felicia Day’s You’re Never Weird on the Internet. Steelheart – Ever since the Red Rising trilogy wrapped up (Just get here already, Iron Gold), I’ve been looking for something that’s action packed, sci-fi, and highly rated. Fingers crossed this is it! Wonder Woman – I’m really excited about the DC Icons series, this is the first of four books, each one is about a different DC comics superhero and written by a popular young adult author. Young Jane Young – I absolutely loved the author’s first book, The Storied Life of A.J. Fikry, and if this book is even half as good I’m going to love it! One of Us is Lying – I hope this is as fun and twisted of a read as We Were Liars was, although this time, you know someone dies. It’s like Breakfast Club gone bad, but I bet it’s going to be so so good! Holding Up The Universe – I loved her first book, All The Bright Places, I read it on the beach on Culebra Island and the sand definitely soaked up some tears, here’s to hoping this one is a little less heartbreaking. I hope you will enjoy my 17 Books to Read Fall 2017 list while sipping on an iced cold Straight Up Tea. Don’t forget to take advantage of the BOGO offer here!